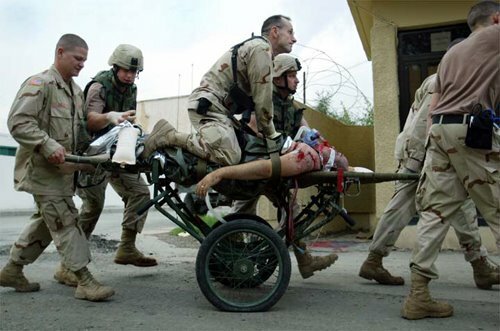 The number of wounded troops in Iraq is growing significantly.More than 20,000 U.S. troops have been wounded in combat in the Iraq war, and about half have returned to duty. The ratio of wounded to killed among U.S. forces in Iraq is about 8 to 1, compared with 3 to 1 in Vietnam. The surge in wounded comes as U.S. commanders issue increasingly dire warnings about the threat of civil war in Iraq, all but ruling out cuts in the current contingent of more than 140,000 U.S. troops before the spring of 2007.